We give vouchers to promoters; some of them have difficulty using the activation system. They may have lost their phone or forgotten their ID or password. Or they may have simply forgotten how to use the system. There may have been a delay in getting them onto the system, so significant numbers of promoters ask others to activate their vouchers for them or distribute non-activated vouchers. Bang goes the idea of being able to accurately track the effectiveness of different promoters. All promoters (most of whom are allied to a Health Centre) are not necessarily around when the vouchers are distributed. So the arrangement is that we leave them at the rural health centre for them to collect. We let them know each time we do this. In one situation the health centre got desperate – they hadn’t had any ORS or Zinc for 6 months – and so they have a brain wave: take the promoters’ vouchers directly to the retailer and exchange them for kits, put the kits in the health centre store room and give them out free to mother visiting the health centre (Oh no! That’s not the model we’re testing! But see my next blog post). 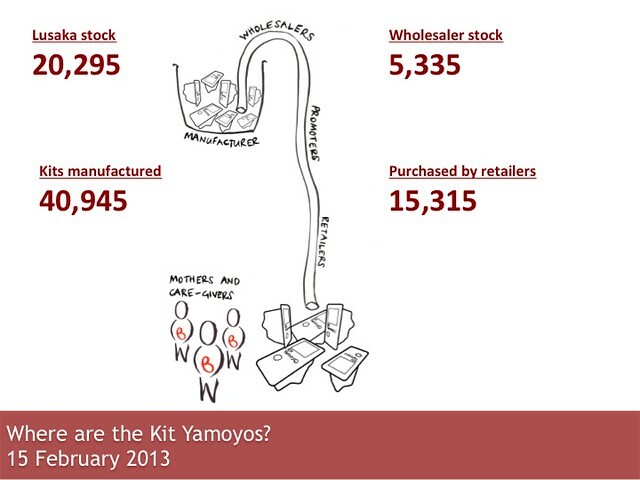 Note that we are still just 5 months into the project and we have reached our target of assembling 40,000 kits. We’ve just ordered the components for 20,000 more.